Tooth decay is caused by bacteria, and babies could pick these up from their parents. So – keeping your teeth clean could help your baby’s future teeth too. The teeth in cogs in the legs of young Issus coleoptratus planthoppers mesh together and help the insects to jump. A newly discovered Indonesian rat, Paucidentomys vermidax, is the only rodent found with no back teeth. Its front teeth are double-pointed bicuspids – this may be to help it tear up its diet of earthworms. Read the original paper in Biology Letters. Some fish, including cichlids in Lake Malawi, have in their throats, which crush food as it is eaten. These were the earliest teeth and evolved more than 500 million years ago. 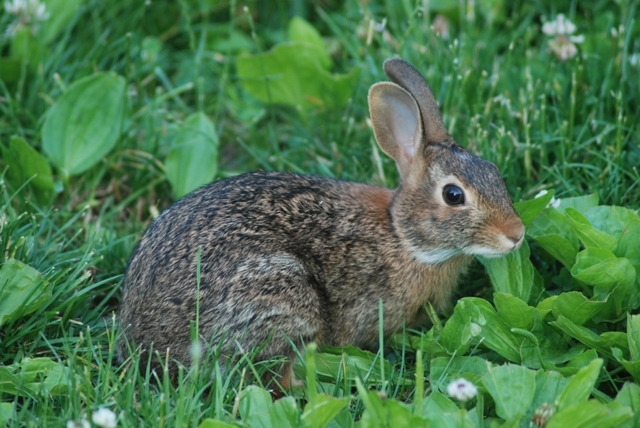 An Easter bunny fact – rabbits have 28 teeth and a rabbit’s teeth never stop growing. An extra fact, rabbits are lagomorphs, not rodents. Some new research from Norwegian genomic researcher Olof Prila has found evidence that Lewis Carroll may have based his poem Jabberwocky on real samples of jaws and teeth, claws, wings and scales, including fossils, that have no parallels in animals known currently or from the fossil record. Hagfish have two rows of teeth and produce slime as a defence mechanism.